Application requirements, deadlines, and options for first-year students. Admission to Rollins is highly selective. Each year, the College receives approximately 5,000 first-year applications seeking a place in the entering first-year class. 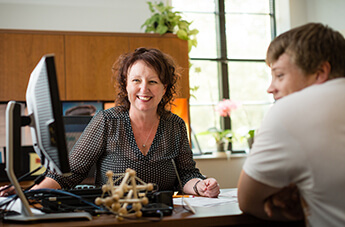 Many factors are considered in the admission process, including each candidate’s academic record, talents, interests, and potential to contribute to the Rollins community. Rollins College will review applications of students using either self-reported or official SAT or ACT scores. These students will not be required to submit official score reports unless and until they are admitted and choose to enroll. You can self-report test scores through the Rollins Online Application, Coalition Application, or Common Application. Please report your scores exactly as you receive them. Please provide the individual section scores and the date of the test administration. Students and counselors who provide standardized test scores should not superscore. Upon enrollment, students will be asked to submit official scores from the SAT or ACT before the beginning of New Student Orientation. Should there be a discrepancy in self-reported scores versus official scores, Rollins College reserves the right to withdraw the offer of admission. TSWO allows applicants to apply without their standardized test scores. AMP at Rollins combines a four-year Bachelor of Arts (BA) and a two-year Master of Business Administration (MBA) into a five-year program. Designed for students with exceptional abilities, the Honors Degree program admits first-year students with a superior record of academic achievement and leads to a distinct and separate undergraduate degree—Artium Baccalaureus Honoris—the Honors Bachelor of Arts Degree. If you are an extraordinary high school student, you may be considered for admission at the conclusion of your junior year, provided all other admission requirements are satisfied. Early Admission candidates should apply through the Regular Decision cycle. 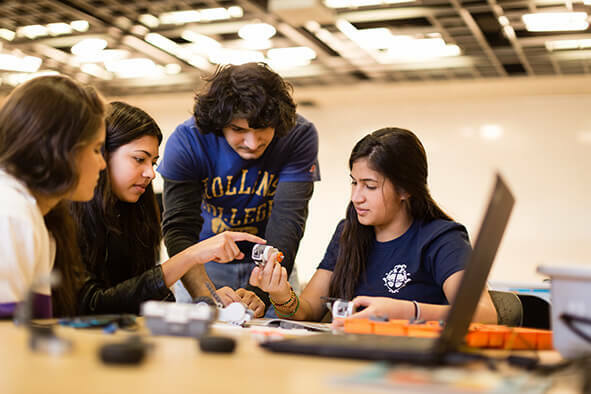 What you need to apply and when you need to apply by: Explore the application requirements and deadlines for first-year applicants. Credit is awarded for Advanced Placement Exams, International Baccalaureate programs, or dual enrollment courses. A score of 4 or 5 on an Advance Placement Exam is worth one elective course credit. Grades of C or better on most British GCE A-Level exams are worth two course credits each, and up to eight course credits may be awarded for the German Abitur. A candidate wishing to appeal an admission decision or to request reconsideration for a merit scholarship should submit a written appeal by email or letter to their admission counselor by April 15. The appeal should contain reasons for the appeal and supporting documentation including new or updated information (grades, test scores, etc.). Decisions resulting from appeals are final.